Lately I have been working on my submission for the annual HWA Poetry Showcase. This will be the fifth installment of this collection, and I’m proud to have been included every year so far, except the first. I’m working hard to create something worthy of this year’s publication. 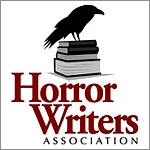 The Poetry Showcase is a Who’s Who of all the best in dark and speculative poetry, but it is only open to Horror Writer Association members. Which raises a good point—if you are a writer in this genre, why aren’t you a member yet? Read all about the benefits of joining HWA here. While the HWA has been around for awhile, their support for poetry had really grown in the last few years. Since I’ve been a member, I’ve seen it evolve into an entity that holds up independently. One of the most recent changes is Stephanie M. Wytovich taking over as the new HWA Poetry Showcase editor. The original editor was Peter Salomon, and the annual anthology was his idea as a way for the HWA to celebrate National Poetry Month. David E. Cowen took over after that, so the bar has been set high for this publication. I can’t imagine a better choice than Wytovich to carry the torch on into the darkness to see another Showcase edition birthed. You can read all about Stephanie M. Wytovich in an interview published on the HWA’s Poetry page in February 2018. And, since I mentioned it, scroll down to July 30, 2017 to read an interview on me (or just click here). I’m excited to see how the newest Showcase turns out. Here’s links to some of the past editions. Many thanks for posting all this, Angela!